OXFORD, Maine - Tommy Tompkins elected not to defend his championship in the Allen's Coffee Flavored Brandy Strictly Stock division. 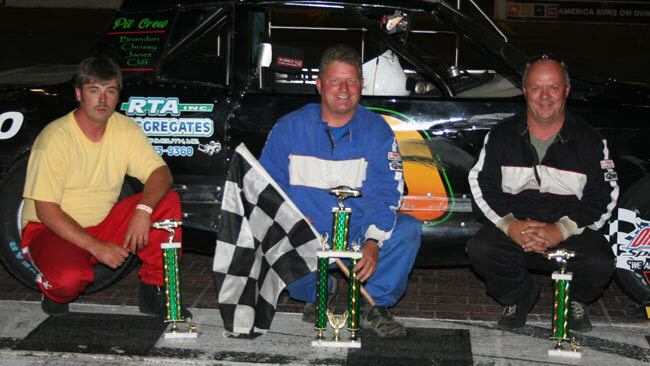 The unofficial title as reigning king of long-distance races in the class remains his, however. 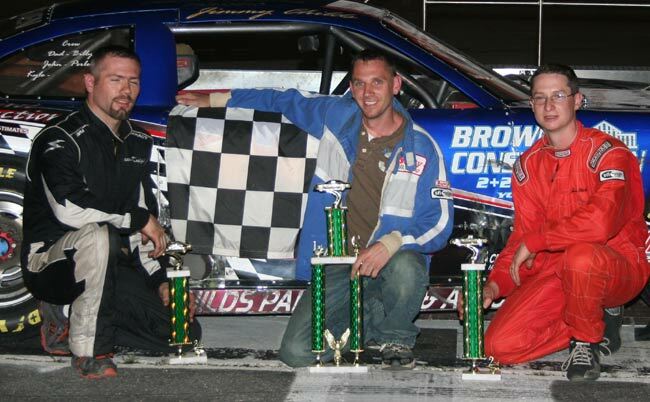 Tompkins dominated the second half of the Allen's Coffee Flavored Brandy 100 at Oxford Plains Speedway on Saturday night, outlasting B.J. 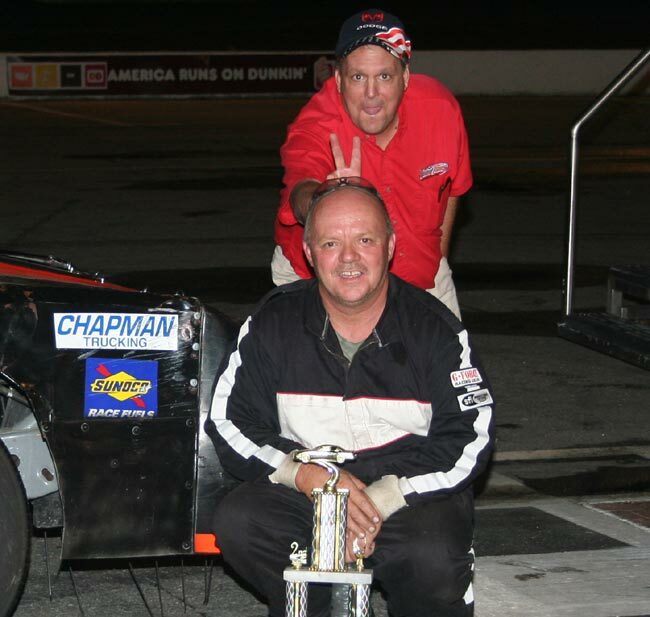 Chapman and holding off Mike Short for his second Agren Appliance Triple Crown victory of the year. 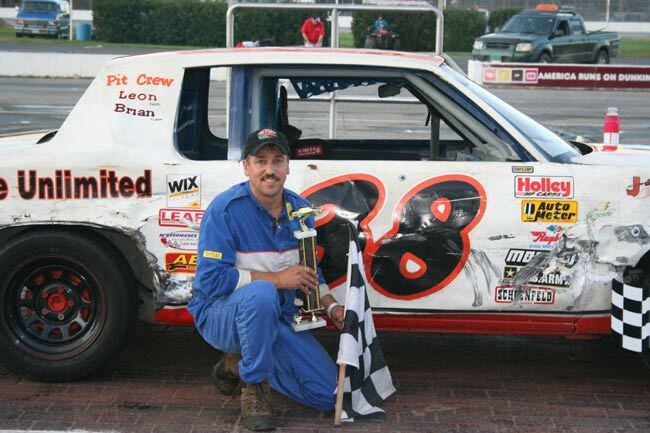 His fourth victory of the season matched Short for the most among Strictly Stock drivers in that category. 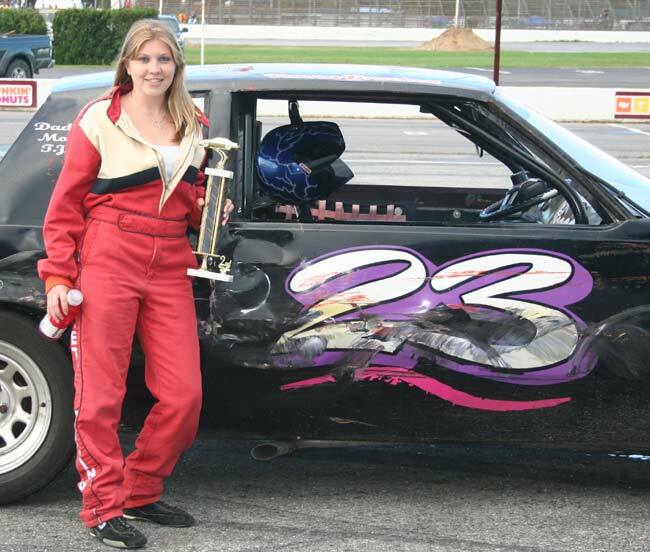 It also came one week after Tompkins' night ended with a hard crash into the front stretch wall. 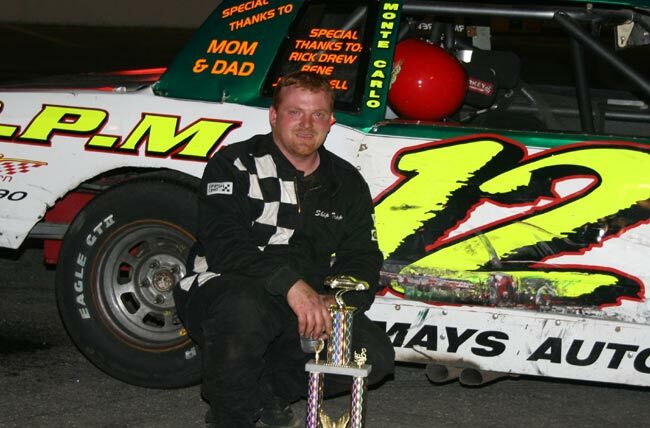 "Jimmy Davis put the whole car back together," Tompkins said. "And both Skip Tripp and Richard of R.P.M. Racing Engines were underneath that thing fixing the rear end." 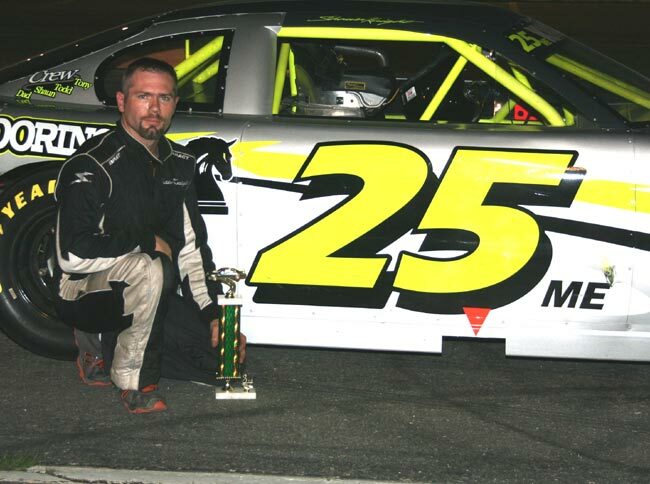 Travis Stearns joined Ricky Rolfe and Travis Adams as only the third repeat feature winner this season in the Oxford Networks Late Model division, dominating that 40-lap feature. 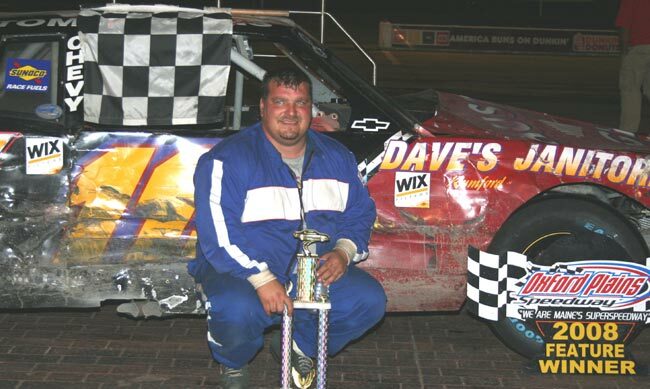 Steve Barker hasn’t been the primary operator of his family’s race car since 2002, but he never forgot the path to victory lane. 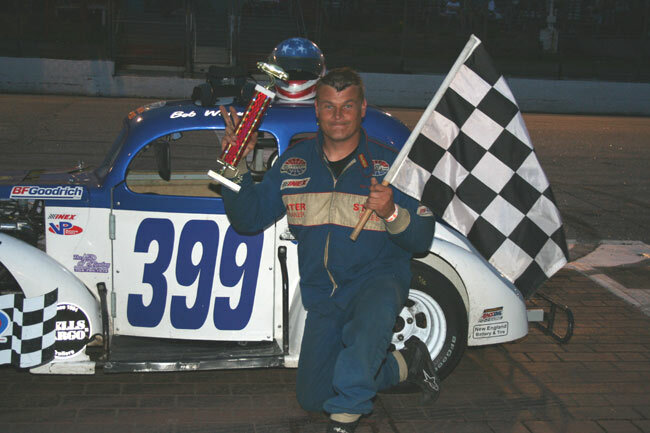 Barker, who turned 50 in the spring, dashed to his first Allen’s Coffee Flavored Brandy Mini Stock feature triumph in six years. Addison Bowie and Nik Coates controlled the Chimney Tech Outlaw features, while Debbie Marston claimed her second Allen’s Ladies victory. 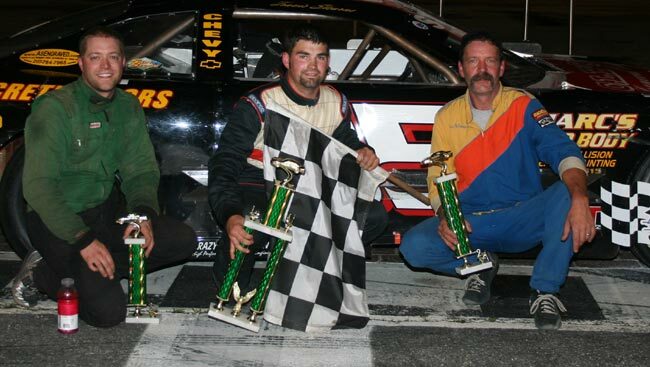 It was the next-to-last Agren Appliance Saturday Showdown points race for those two divisions. 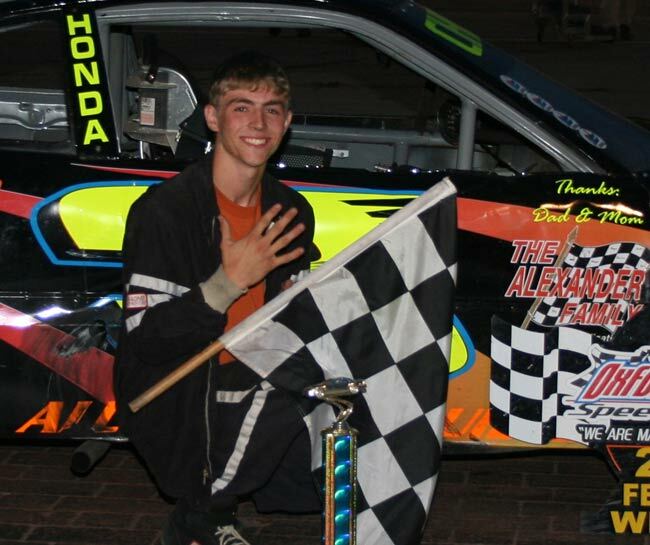 Tompkins inherited his previous 100-lap victory after Short was disqualified in the technical inspection line. The lead dropped into his lap by default this time, too, although Tompkins gave the impression that he was moments away from landing it on his own, anyhow. 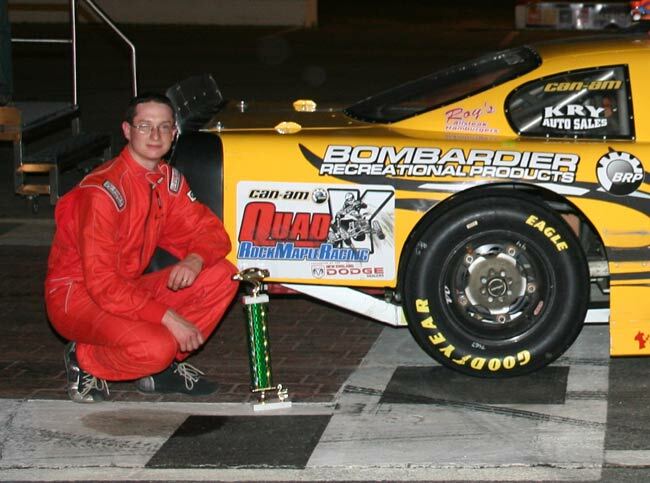 Chapman led the first 57 laps before a developing mechanical problem caused him to slow in the outside groove. Tompkins, who made numerous overtures to Chapman's inside over the first half of the event, wasted no time expanding his lead prior to the lone yellow. 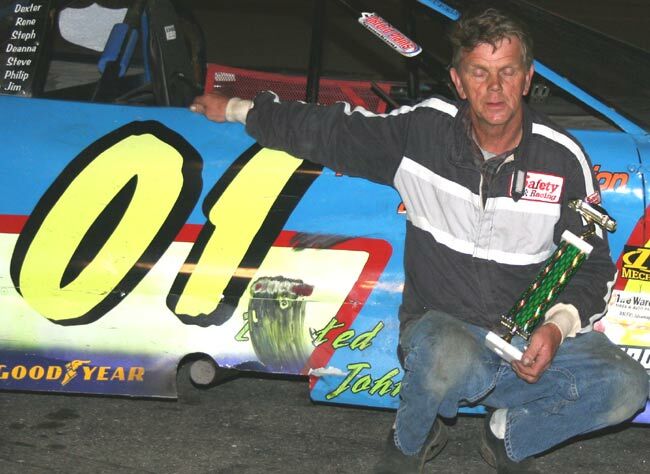 Known for his family’s long racing tradition -- Tommy joined his late father Joey “The Jet” Tompkins as an OPS champion last season -- Tompkins found some inspiration in the grandstands Saturday. 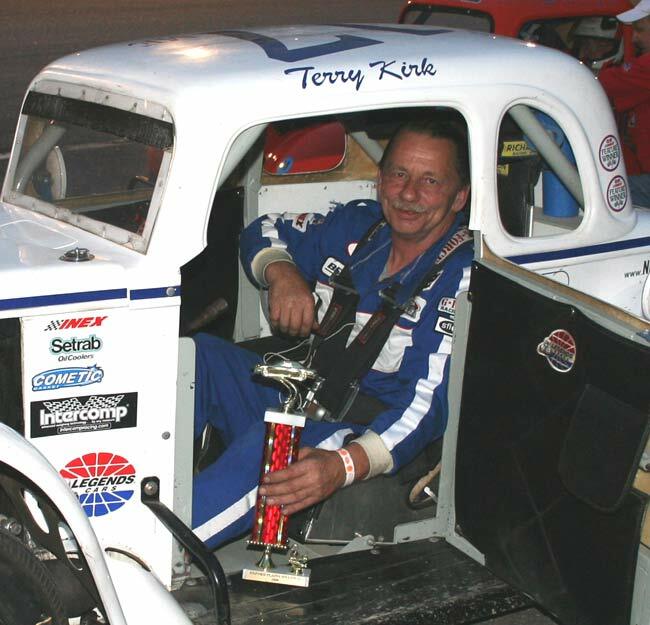 Tompkins took off from his ninth starting position in the Dave’s Janitorial/Tommy Gun’s Pit Stop #113 and ran third by lap 7. 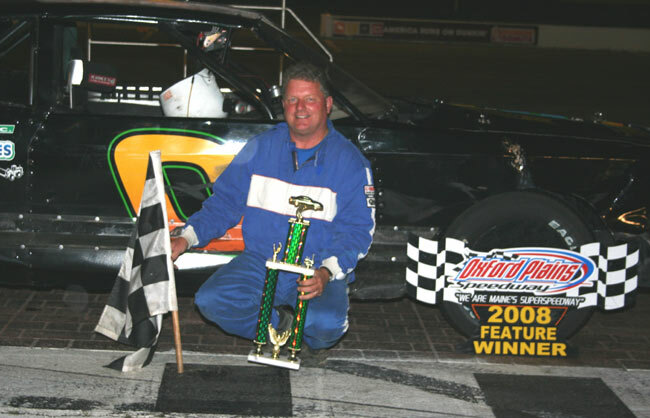 He teamed up with Larry Emerson to erase Chapman’s half-straightaway lead before taking advantage of Emerson’s slide up the track to claim the runner-up role on lap 25. Only one caution flag slowed the main event, for Rick Thompson's broken axle on lap 75. Short closed his Chapman Trucking/All-Purpose Builders #56 to Tompkins' rear bumper on the final lap but couldn't find a line around the 2007 champ. Tripp, the division point leader, chased Short across the line in third in the R.P.M. Racing Engines/Tommy Gun’s Pit Stop #12. 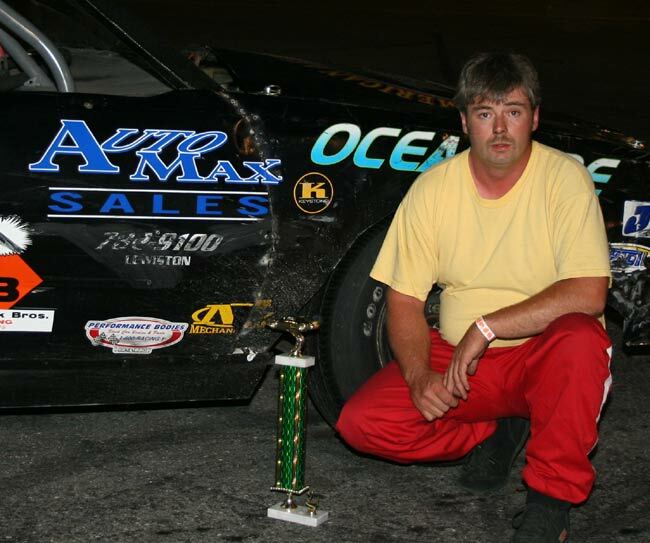 The season hasn’t been easy as Tripp threatened to make it look when he won two of the first three features in May. Top-three finishes were a rarity in June and July. 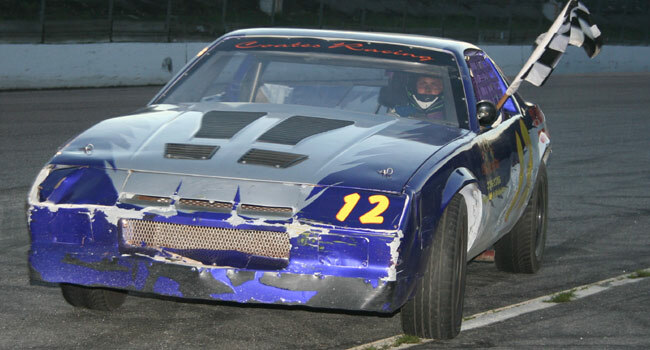 It was Tripp who persuaded Tompkins, one of his sponsors, out of his early-season sabbatical and back to the racetrack. 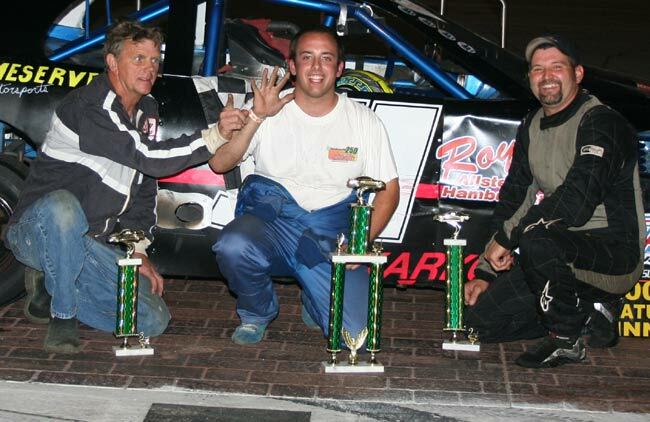 Larry Emerson edged his son, Zach, for fifth. 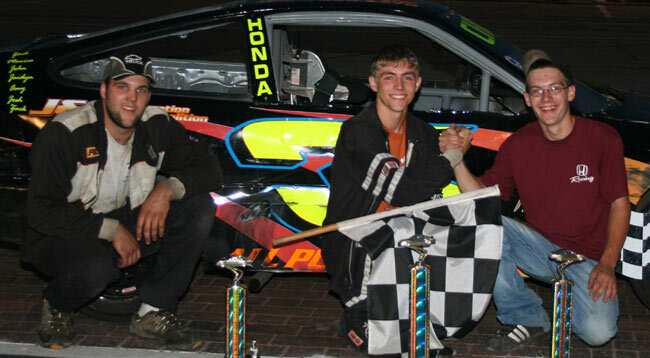 Stearns denied Don Wentworth and point leader Travis Adams to claim his first victory since his breakthrough on May 24. Teenage rookie Nick Brown won his heat race and led the first lap of the main event before Stearns took command on the first of two early restarts. 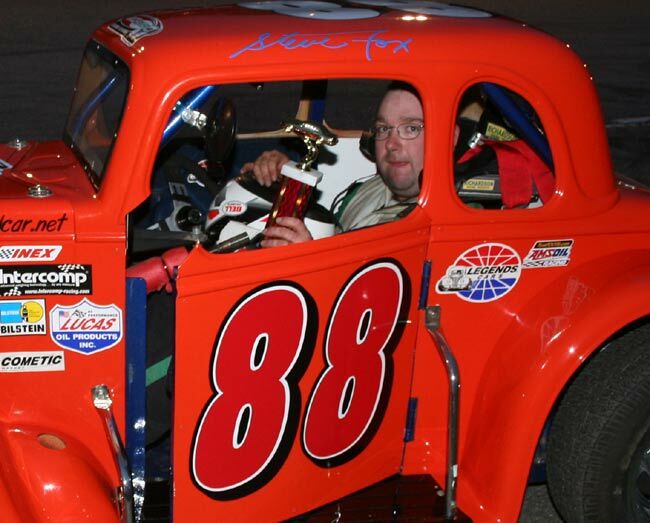 Notable for claiming his first win one week after destroying his Pride Concrete Flooring/Marc’s Auto Body #85 in the backstretch wall, Stearns is all too accustomed to that kind of juxtaposition in his sophomore Late Model season. His third-place finish two weeks ago was Stearns’ first appearance in the top eight since his victory. The season has been equally disappointing for Wentworth. 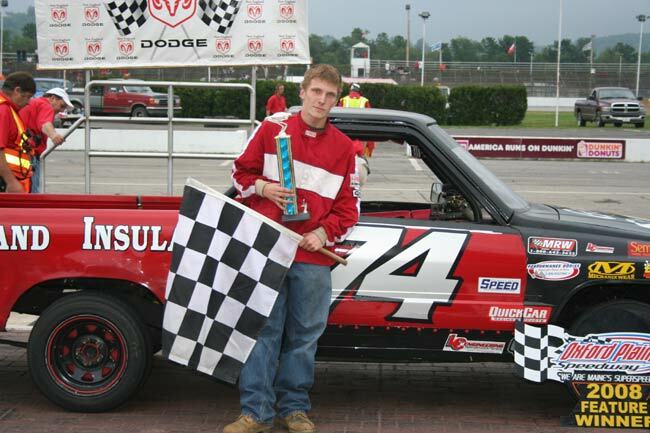 He, too, has been absent from any victory lane photos since the spring. Wentworth quietly moved into fourth behind Stearns, Corey Morgan and Dennis Spencer Jr. on lap 7. Morgan yielded the third position to Wentworth on the 15th circuit. Seven laps later, he stormed past Spencer. Stearns stayed about four car lengths in front until the checkers, but Wentworth matched that advantage over Adams to complete a run that could turn around his season in the K&K Excavation #63. Adams added a little more cushion to his lead over Shawn Martin as he chases his third straight championship and fourth overall. Martin, whose crew and many volunteers worked feverishly to get him back on the track after a heat race crash, finished two spots behind Adams in fifth. The Dacata Repair/Canton Variety #03E had been shut out recently while Martin, Rolfe and others occupied most of the Late Model attention. With the calendar page flipping into August, however, Adams not surprisingly is elevating his game. Spencer finished fourth to complete a 3-4-5 trio that has combined for eight OPS championships. 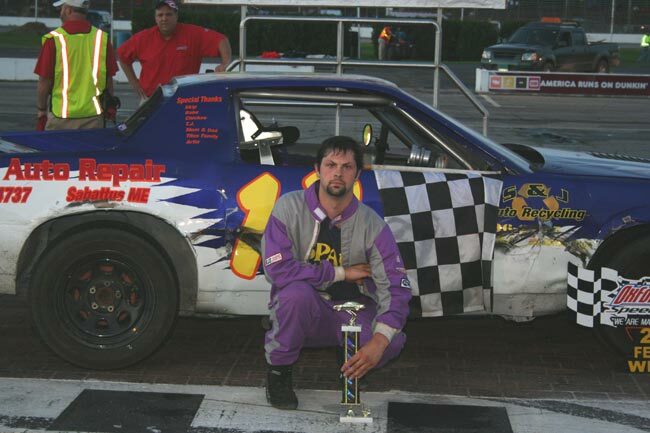 Barker, who returned to racing after celebrating his 50th birthday in May, sped to his first Allen's Mini Stock victory in six years. He was the fourth different driver to lead the race. 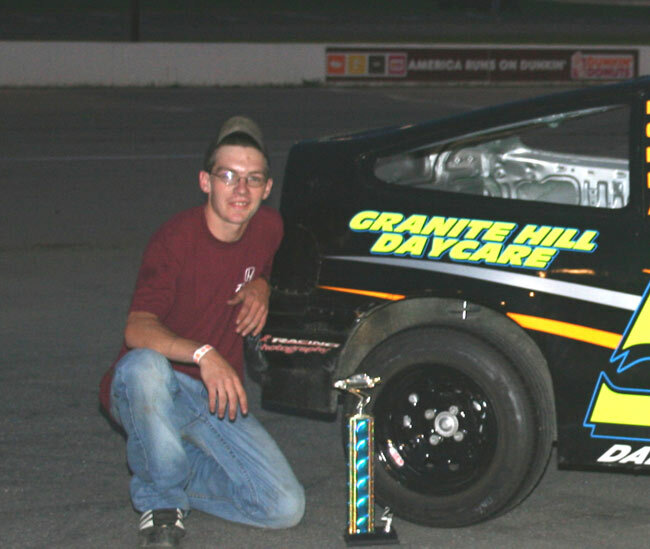 Barker became the fastest car in the lead group after Shane Kaherl, his neighbor and essentially teammate from Jay, spun while battling Matt Moore for the top spot on lap 16. 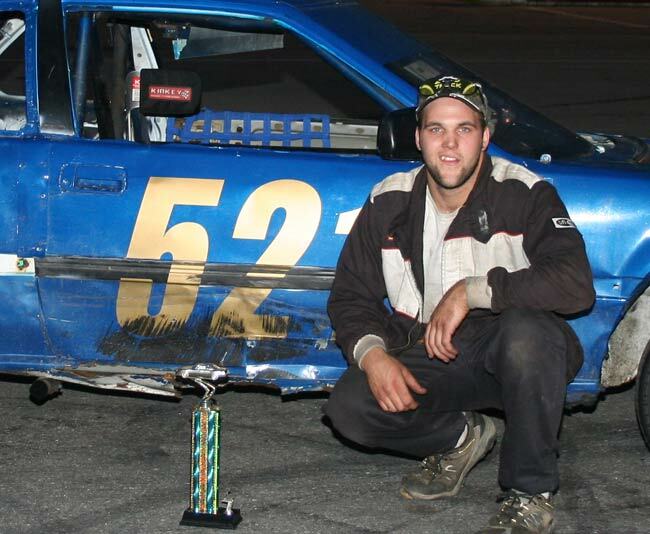 Barker made use of his best starting position of the season, taking the green from the seventh spot in the SIB Enterprises/North Jay Redemption Center #55. While Brad Dwinal set the pace on lap 1 and Moore ruled the opening half from that point, Barker settled into a comfortable third position. That moved him to the outside of the front row when Kaherl and Moore made contact in the third turn just after the halfway signal, sending Kaherl spinning over the curb. 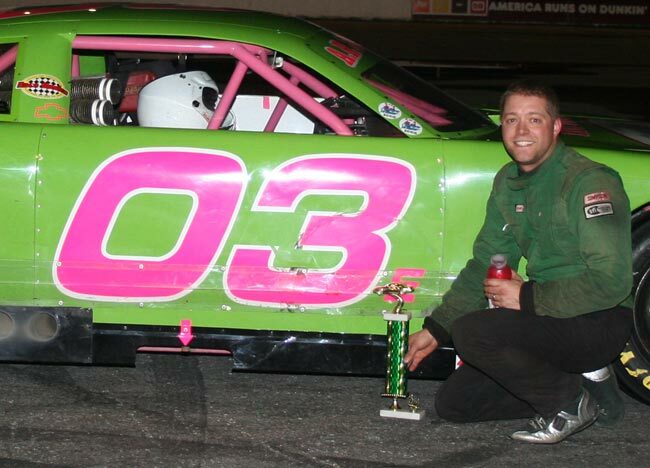 Kaherl caught a reprieve when five-time feature winner Justin Karkos’ car stopped in a shower of sparks on the same lap. The ensuing restart gave him a chance to make the most impressive drive of the night from 13th to second. 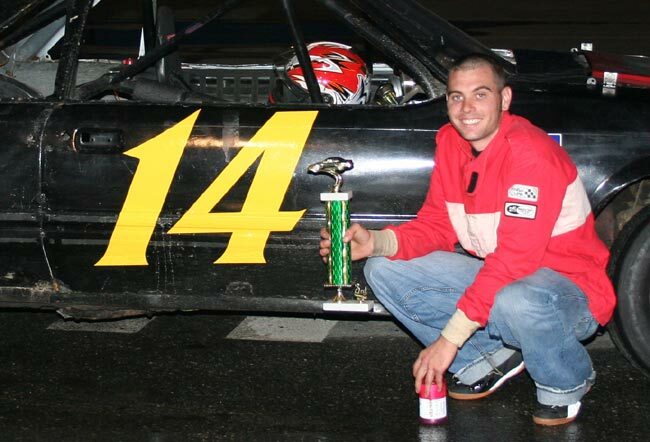 “We’ve been working on it all year, having nothing put problems, getting some help from all our friends out there,” said Kaherl, who continues to seek his first Mini Stock win after a fistful of top-fives the last two seasons. 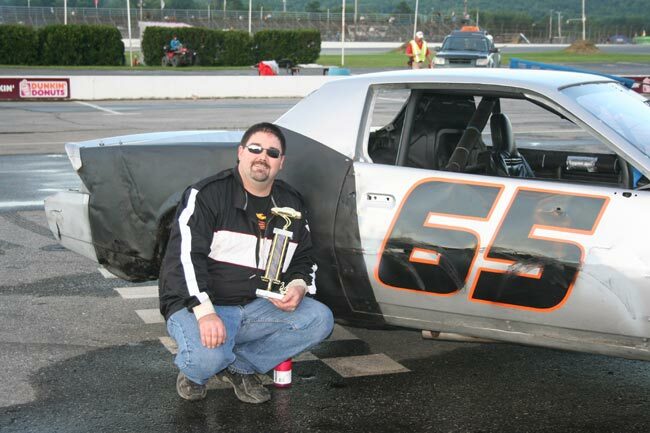 “Steve Barker gave me a place to work on my car, and we’ve tried to help him get a little faster." Barker took advantage of a second restart on lap 18, for a tangle involving Dwinal, Bob Guptill and Don Frechette, and claimed the lead. 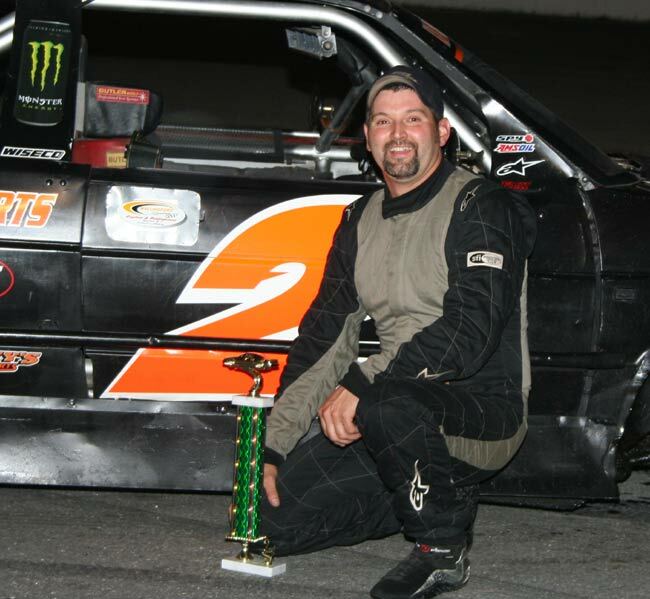 Moore’s strong first season in the Mini Stock division continues after his transition from Runnin’ Rebel and Strictly Stock. Ashley Marshall protected his point lead with a fourth-place finish in front of Bill Thibeault. 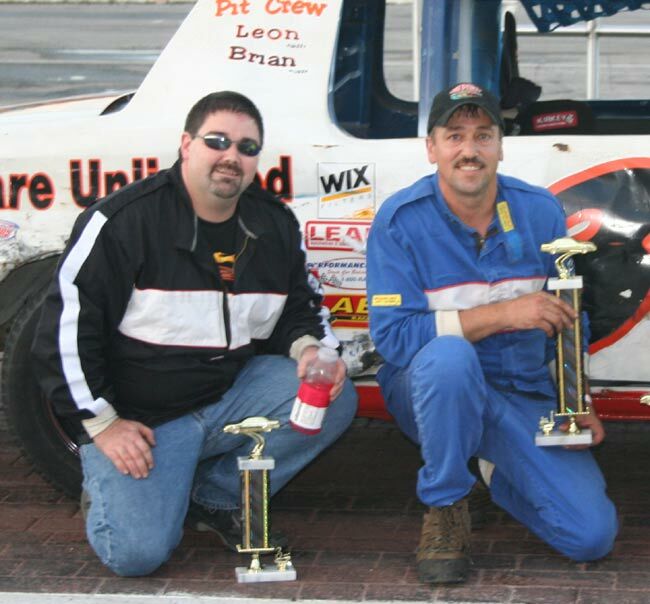 His two challengers, Kevin Bishop and Darrell Moore, were sixth and seventh, respectively. 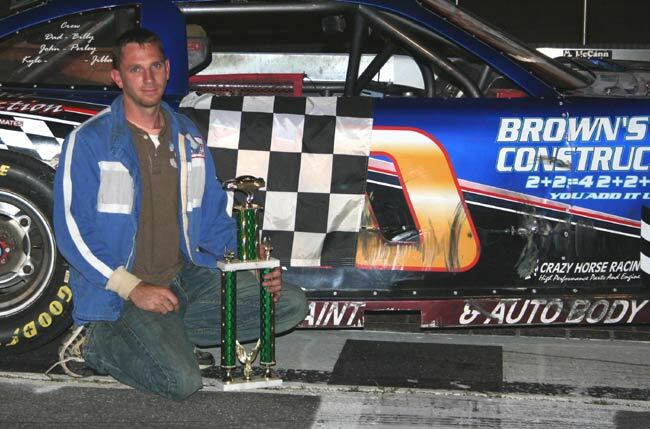 Bowie enjoyed his first 20-lap feature win of the year in Agren Saturday Showdown competition. 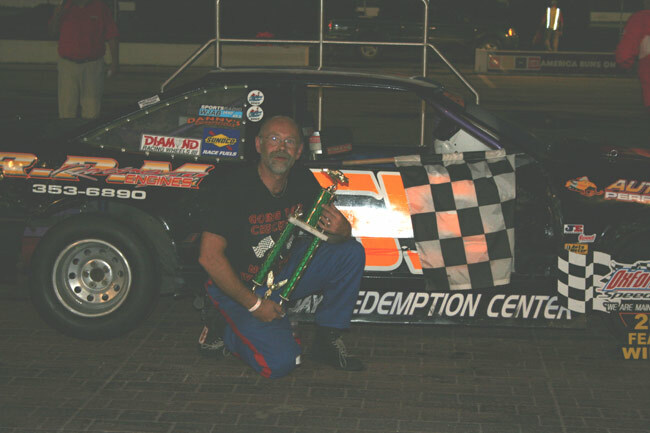 The Wednesday night series point leader is accustomed to picking his spots carefully from the rear of the intensely competitive, third feature each week. With half the Saturday field in part-time weekend mode, those cars were grouped in the ‘B’ feature. Bowie dominated the caution-free encounter from wire-to-wire in the A-1 Auto Body/Lawn Care Unlimited #38 after starting on the outside of the front row. 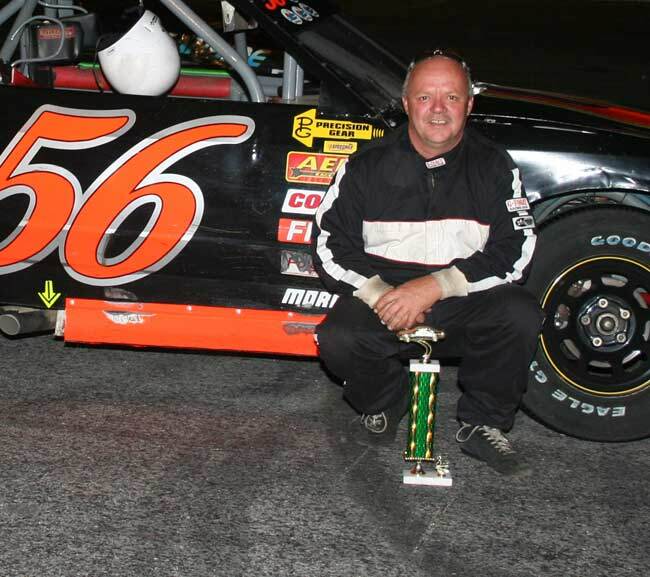 Former Limited Sportsman and Strictly Stock campaigner Bill Sprague has moved into the #65 previously steered by Ed Burlock and David Smith. 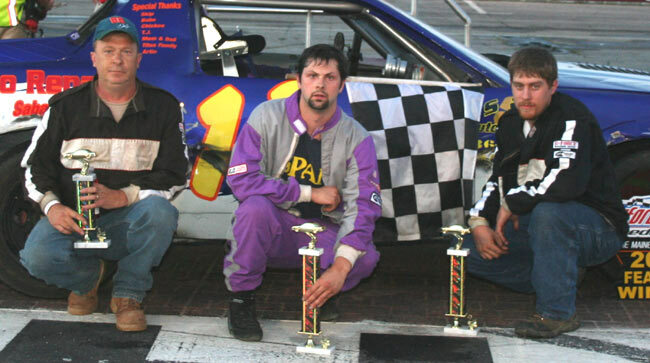 Apparent runner-up John Spencer’s disqualification at the tech shack capped Sprague’s run from 12th to second. 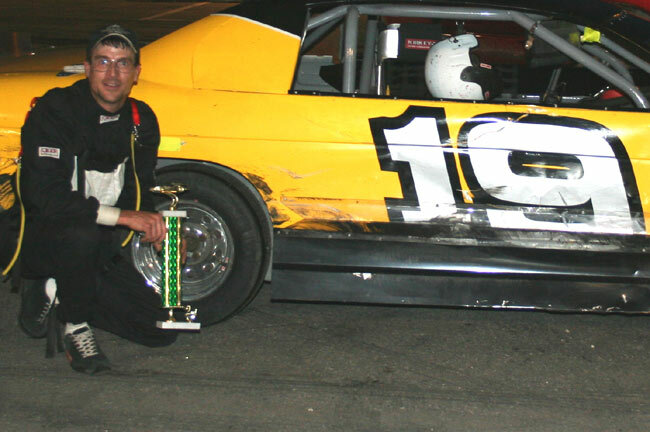 Sprague also scored a runner-up trophy in his first Runnin’ Rebel start 10 days earlier. “It’s great to be coming up here and having some fun again,” said Sprague, who sat out most of the previous two seasons. 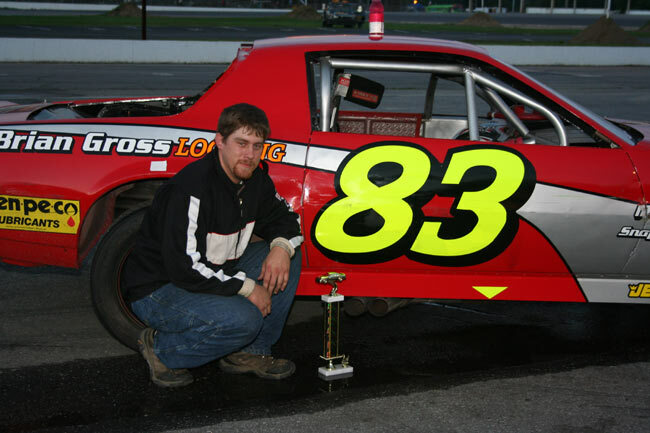 Kevin Leighton, a two-time feature winner this season, kept the leaders in sight throughout and claimed third. 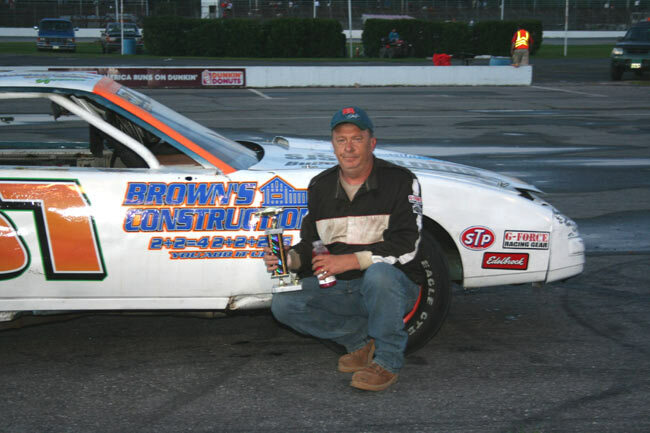 Fred Clavet took fourth, with Jonathan Baldwin holding off Mike Haynes for a career-best fifth. 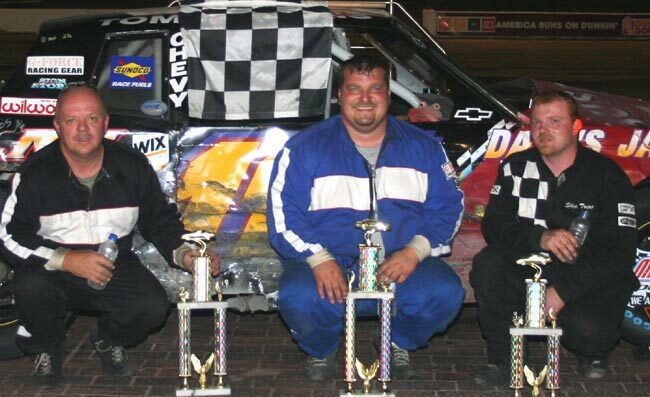 The 'A' main went to Coates, who labored for his fourth win of the summer with Dan Brown and Gerry Richard closely in tow. 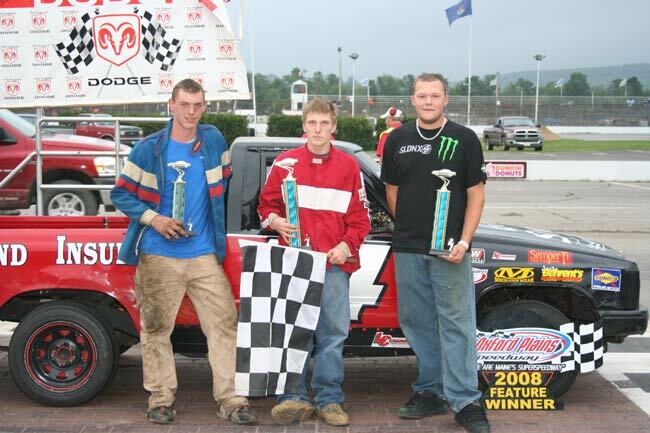 Richard continued his midseason surge by leading the first seven laps. A lap 4 caution tightened the field, though, and being within striking distance was ample momentum for Coates. 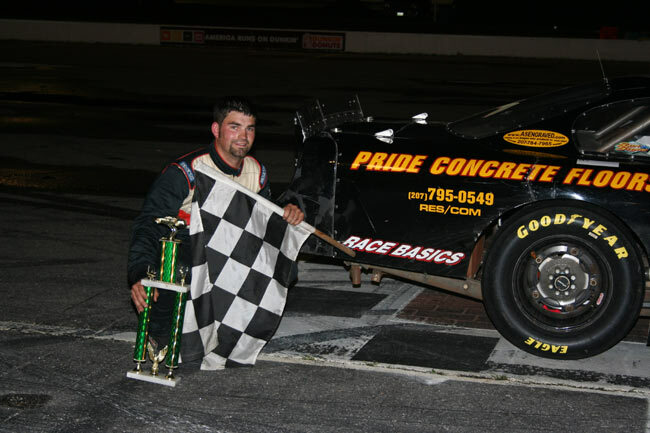 “Thank God the rain finally held off for a little bit,” said Coates, whose stellar season includes two Wednesday wins and a pair of Saturday triumphs in the S&J Auto Repair #12. John Patria and Tom Averill wrapped up the top five. 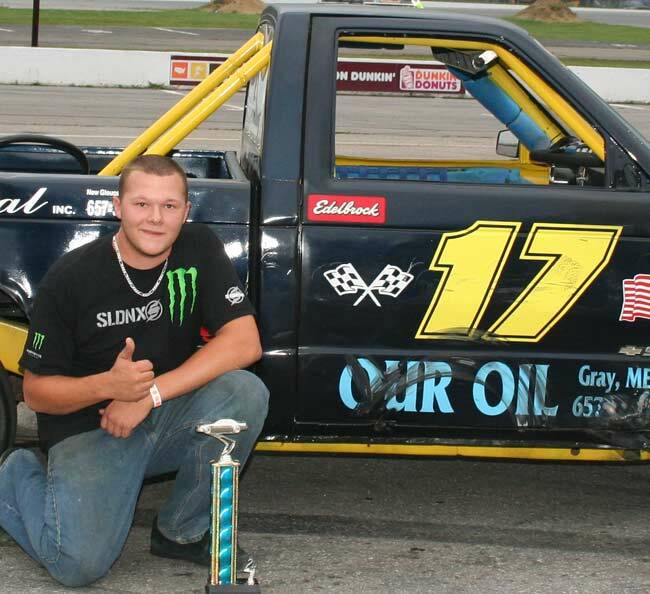 Teenager Zach Bowie leads Acceleration Series mainstay Steve Moon by 14 points headed into the Agren championship race on August 23. 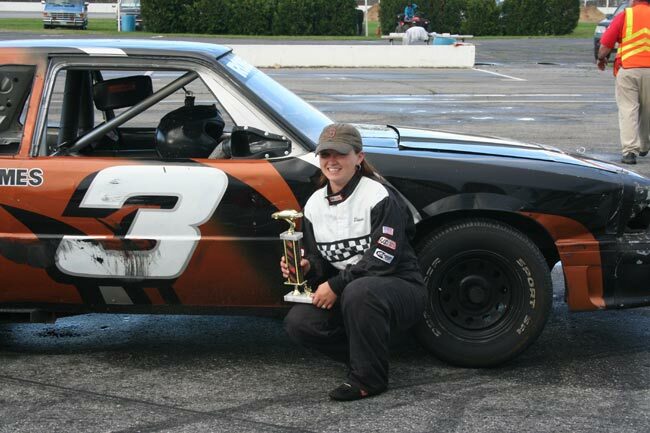 Marston backed up her first career victory earlier this season by latching onto her second Allen's Ladies checkers in impressive fashion. 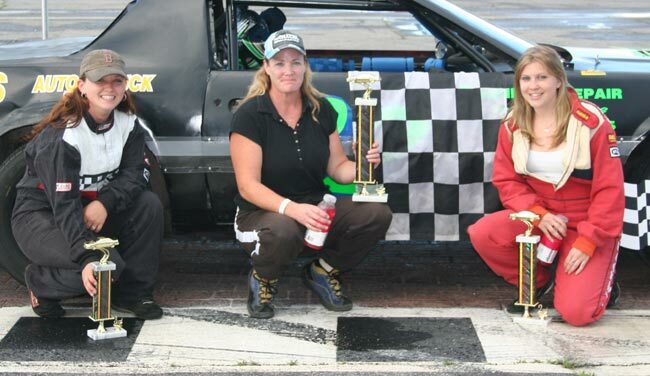 Deanna Robertson ruled the first 10 laps and had the inside track to her second win of the summer. Marston made the treacherous top side of the asphalt work to her advantage, however, in the Rodney’s Repair/Rusty’s Auto and Truck Repair #92. 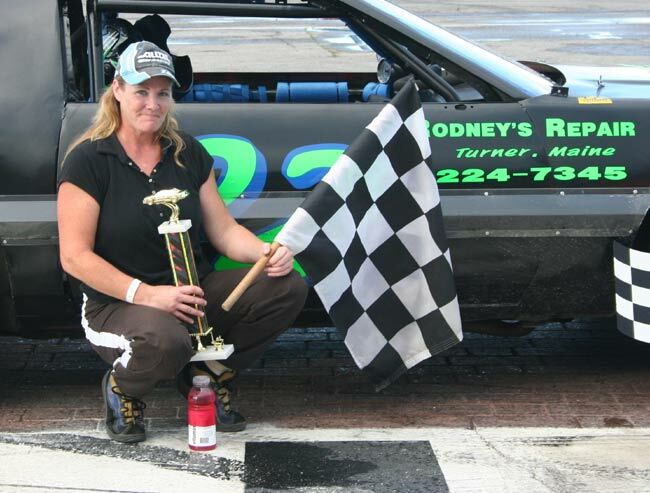 She overtook Vanna Brackett on lap 1 for fourth, moved into third around Kimberly Sessions on lap 6, shook Lisa Brooks for the runner-up spot on the next pass and then won the drag race out of turn four with Robertson to christen the second half of the event. 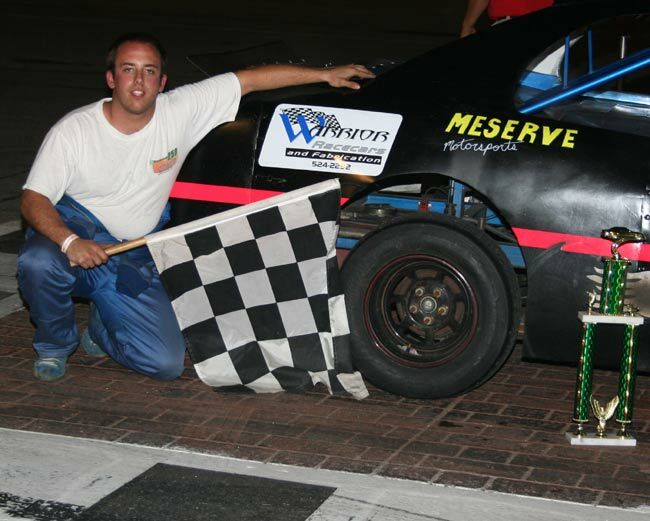 Defending midweek champion Brackett rallied to second, followed by Robertson, Brooks and Sessions. OPS returns to action at 6:30 p.m. Wednesday with a full card of Acceleration Series action, including double features for the Outlaws. Next Saturday is Time Warner Cable/99.9 The Wolf Fan Appreciation Night, with $5 adult tickets and juniors admitted free. Racing begins at 6:30 p.m. Lap leaders: Chapman 1-57, Tompkins 58-100. Lap leaders: Brown 1, Stearns 2-40. Lap leaders: Dwinal 1, M. Moore 2-13, Kaherl 14-15, M. Moore 16-18, Barker 19-30. Lap leaders: Richard 1-8, Coates 9-20. Lap leaders: Robertson 1-10, Marston 11-20.